With the 125th birth anniversary of Babasaheb Dr Bhimrao Ramji Ambedkar (1891–1956) happening this year, we remember him as yet another legend forgotten in the annals of Indian history. He was the architect of the Indian Constitution, which has stood the test of time, braving various challenges of Indian politics and governance. He was a great philosopher, economist, lawyer, political activist and social reformer. Bhimrao Ramji Sakpal Ambavadekar (later Dr Bhimrao Ramji Ambedkar) was born to a Maratha family, as the 14th child to his parents. His community was considered ‘untouchable’ in the society. As a school student, he underwent much humiliation due to this social practice of caste discrimination. It is distressing to read about his personal experience because of ‘untouchability’ prevailing then. While in the school, I knew that children of the touchable classes, when they felt thirsty, could go out to the water tap, open it, and quench their thirst. All that was necessary was the permission of the teacher. But my position was separate. I could not touch the tap; and unless it was opened for it by a touchable person, it was not possible for me to quench my thirst. In my case the permission of the teacher was not enough. The presence of the school peon was necessary, for he was the only person whom the class teacher could use for such a purpose. If the peon was not available, I had to go without water. The situation can be summed up in the statement—no peon, no water. Mahadev Ambedkar, his Brahmin teacher was sympathetic towards him and supported him. He changed his original name in the school records from ‘Bhimrao Ramji Sakpal Ambavadekar’ to ‘Bhimrao Ramji Ambedkar’, adding his own surname of Ambedkar. With his father’s encouragement, Dr Ambedkar completed his graduation in Bombay. Although he was opposed to ‘Manu Smriti’, his writings reveal his deep knowledge of the ancient scriptures, Vedas and the Upanishads. Even in the Constituent Assembly, he favoured Sanskrit as the national language, although it was not accepted by the majority. 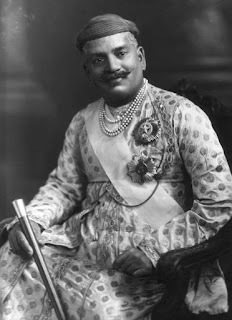 Sayajirao Gaekwad III, the ruler of Baroda was a social reformer who supported poor students from the ‘depressed class’ (untouchables). When he met Bhimrao Ambedkar, he recognised his potential and offered him a scholarship to study abroad. Ambedkar completed his studies, including a doctorate at the Columbia University (USA), and at the London School of Economics (UK). In spite of the caste discriminations and untouchability practices, some good-hearted people like Mahadev Ambedkar and Sayaji Rao III recognised Ambedkar’s potential and helped him to move to the higher levels in academics. Ambedkar proved to be an outstanding student wherever he studied. On his return to India, he served the Baroda ruler for some time. In 1918, he became the Professor of Political Economy at the Sydenham College of Commerce and Economics in Bombay. Even though he was popular with the students, the professors objected to his reformist activities such as sharing the same drinking-water jug that they all used. The British Government invited leaders from different political parties to the Round Table Conferences held in 1930-32, to draft a new Constitution leading to the self-rule by Indians. Dr Ambedkar attended all the three Round Table Conferences. Mahatma Gandhi did not attend the first Conference due to a difference in opinion with Dr Ambedkar. 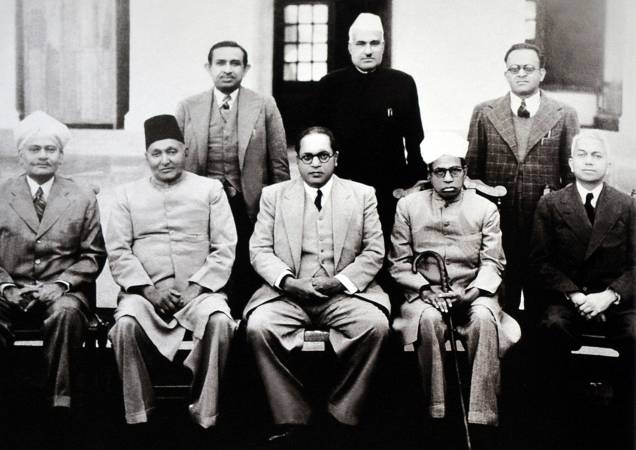 During the First Round Table Conference held in November 1930, Dr Ambedkar proposed the concept of a ‘Separate Electorate’ for the ‘Depressed Class’ (Untouchables). He argued that the problems faced by the untouchables were not social problems but political problems. More than 20% of India’s population were from the untouchables category. Dr Ambedkar pleaded that the problems of such a sizeable portion of the population could not be ignored. He wanted a proportionate political power to resolve the issue. He suggested a ‘Separate Electorate’ for the Depressed Class, meaning thereby that their representatives could be elected only by the untouchables and not by all the others. He even quoted from the Mahabharata that the kings and the ministers therein were from all communities, (including Sudras, which is equivalent to the socially deprived class). Since Mahatma Gandhi held a different view, he did not agree with the suggestion. He opposed it in the Second Round Table Conference. He feared that allowing a ‘Separate Electorate’ might divide the Hindu community further. He believed in a change in the social mindset of the people to eradicate untouchability. British Prime Minister, Ramsay MacDonald made an Award in 1932 known as the ‘Communal Award’, providing ‘Separate Electorate for Muslims, Christians, Upper Caste Hindus, Lower Caste Hindus, Sikhs, Buddhists and Depressed Class’. The Depressed Class (Untouchables) could then elect their own representatives to the various provinces under the British rule. This was opposed by Mahatma Gandhi on the ground that it would disintegrate the Hindus. Gandhi was then in Pune Yerwada prison. He went on an indefinite fast from 20th Sep 1932 against the ‘Separate Electorate’ for Depressed Class. After some lengthy negotiations, Ambedkar and Gandhi reached an agreement on 24th September, 1932 to have a single Hindu electorate, with Untouchables having seats reserved within it. This is called the ‘Poona Pact’. The text uses the term "Depressed Classes" to denote Untouchables. It was later called the Scheduled Castes and Scheduled Tribes under the India Act 1935, and then the Indian Constitution of 1950. 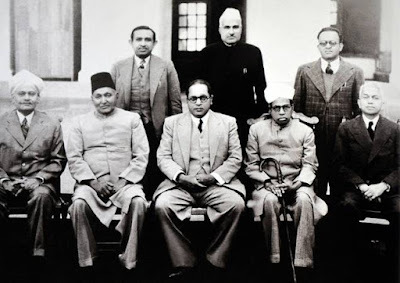 In 1936, Ambedkar founded the Independent Labour Party, which contested in the 1937 Bombay elections to the Central Legislative Assembly for the 13 reserved and 4 general seats and securing 11 and 3 seats respectively. Right from 1916, Dr Ambedkar began uniting all the untouchables in India. In July 1942, he organised a national conference at Nagpur under the banner of Scheduled Caste Federation (SCF). More than 75,000 scheduled caste people, including 25,000 women participated. In his historic speech, he demanded self respect and freedom. Later, SCF transformed itself into the Republican Party of India (RPI). In 1942, he was invited to join Viceroy’s Executive Council as Labour Member with three additional portfolios. As Labour Member, he influenced the British to concede 13% representation to Scheduled Caste (SC). The British gave just 8.33%. (Later, while writing the Constitution, he made a provision of 15% for SCs.) He continued in this position till 1946. He was responsible for reducing the working hours of labourers from 12 hours to 8. He also introduced the concept of Provident Fund and Dearness Allowance. He created the employment exchanges. He introduced maternity leave for women. As a believer of free market, he introduced the Gold Standard. He was the brain behind the Hirakud Dam and the Damodar Valley Project. He was also the brain behind the India’s Water Policy and the Electric Power Planning. Under the Cabinet Mission Plan 1946 of the British Government, a Constituent Assembly was set up in 1946 in the then undivided India to frame the Constitution for India. The members were elected from different provinces. Since Dr Ambedkar could not be elected from Mumbai, he was elected from East Bengal with the help of the Muslim League. These districts were later identified for inclusion in Pakistan. To prevent Dr Ambedkar from leaving the Constituent Assembly, Dr Rajendra Prasad (President of the Constituent Assembly) wrote a letter on 30th June 1947 to the then Prime Minister of Maharashtra (as he was called then) to get him elected from Maharashtra Province. Thus, he got elected to the Constituent Assembly again. He was made the Chairman of the Constitution Drafting Committee on 29th August 1947. Although there were 7 members in the Committee, he was practically the only one shouldering the entire responsibility and burden of drafting. 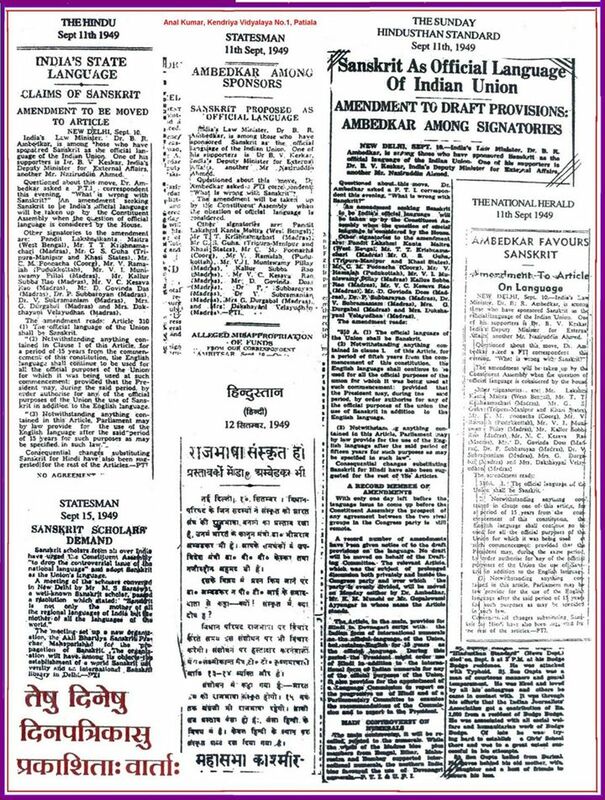 The Draft Constitution was presented by Dr Ambedkar in the Constituent Assembly and was discussed and adopted by the Members. 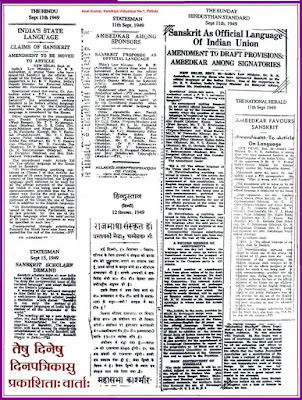 The Constitution was adopted in its complete form on 26th November 1949 and came into force on 26th January 1950, which is celebrated as the Republic Day of India. While adopting the Constitution, all the members praised the extraordinary work done by Dr Ambedkar in drafting the Constitution. 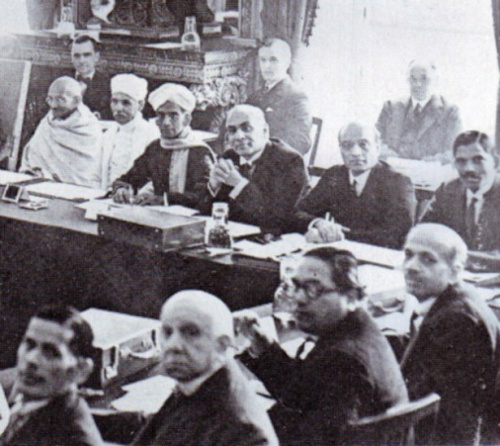 Dr Ambedkar served as India’s first Law Minister from 15th August 1947 in the Nehru Cabinet. Due to his differences of opinion on the Hindu Code Bill, which deprived equal rights to women, he resigned from the cabinet in September 1951. During the first General Elections in 1951 to Lok Sabha, he contested from Bombay North, but lost to a little known Congress candidate, Narayan Kajrolkar, who was once his assistant. He became a Member of Rajya Sabha as a nominated member in 1952 and continued as a member till his death. In 1954, he contested again in a by-election held in Bombay Bandra. Here too, he was placed third and lost to a Congress candidate. Sadly, Dr Ambedkar could not sit in the First Lok Sabha, the Constitution for which was created by him. The Second General Election was held in 1957 after his death in 1956. He could therefore not enter the Lok Sabha at all. He declared his intention to convert to another religion, public as a large section of the society was treated as untouchable by the Hindu section. Although Christians and Muslims approached him convert to their religion, he preferred Buddhism. 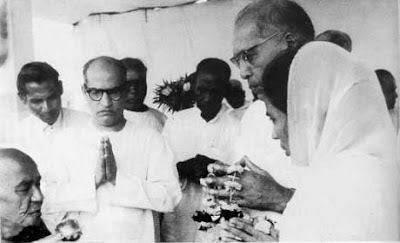 On 14th October 1956, Ambedkar, along with his wife, converted to Buddhism in the presence of a monk. Thereafter, he persuaded thousands of people of the Scheduled Caste to convert to Buddhism. He passed away on 6th Dec 1956 in his sleep. He was a great scholar and philosopher. He was bold in expressing his views. He preferred Sanskrit as the National Official Language. However, it was not approved in the Constituent Assembly. When Prime Minister Nehru wanted him to draft Article 370, he refused as he felt that it would be against the interest of the nation. While all the modern historians argued in favour of the Aryan theory, he wrote that there was no race by that name. He also said that the theory that Aryans invaded India through Khyber Pass was false. He openly criticised Mahatma Gandhi on various issues and even wrote a book titled ‘What Congress and Gandhi have done to the untouchables’. In response to this book, Rajaji and K Santhanam wrote a book ‘Ambedkar refuted’, defending Mahatma Gandhi. There could be several people who had differences of opinion with Dr Ambedkar. But no one can deny the fact that Dr Ambedkar formed his views, based on his own experiences and despite the harassment he faced in the society. But for this legendary personality, India would not have got the time-tested and the much-acclaimed Constitution. Due to various reasons, he was not fairly recognised in the past by the Government and by the society. In 1990, he was conferred the Bharat Ratna Award posthumously, under pressure from political parties. In response to an RTI activist, Rusen Kumar (Raipur), Ministry of Information and Broadcasting disclosed recently that a documentary film on Dr Ambedkar made by the Government of India and Government of Maharashtra 14 years ago, is yet to be telecast through Doordarshan for public viewing. The Indian society little supported the architect of Modern India when he was alive. It is time to stand up and salute him for his exemplary contribution to Modern India because although Dr Ambedkar was an ‘exclusive member’, belonging to the ‘Depressed Class’, his lifelong work, activities and contribution were inclusive and to the benefit of the nation as a whole.